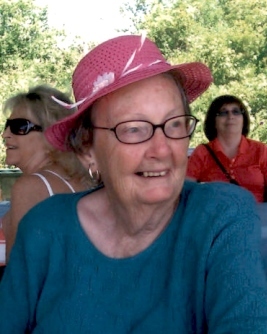 Sandra Skeen Beck, 89 of Kissimmee, Florida passed away peacefully on Monday, April 1, 2019. She was born in Frostproof, Florida the daughter of Lawrence and Agnes Skeen. She moved to Kissimmee in 1963 from Leesburg, Florida. Sandra was a graduate of Stetson University, was a homemaker and a member of the First Baptist Church of Kissimmee. Sandra is survived by her son: Christian Skeen Beck of Bonaire, Georgia; sister: Linda Thorne (Francis) of Savannah, Georgia; 3 grandchildren: Cynda Bathalow her husband Jason and their children Austin Bathalow, Chapman Bathalow, and Colt Bathalow, Christa Beck and her children Carissa Beck and Brayden Beck Nelson, and Christian S. Beck II and his wife Briana. Sandra was preceded in death by her beloved husband Louis P. Beck. The family will receive friends on Wednesday, April 10, 2019 from 2:00 P.M. to 4:00 P.M. at the First Baptist Church Chapel, 1700 North John Young Parkway, Kissimmee, Florida 34741. A Service to Celebrate the Life of Sandra Skeen Beck will be at 4:00 P.M. Wednesday, April 10, 2019 in the First Baptist Church Chapel following the visitation with Pastor Tim Wilder officiating. The Beck family is being cared for by: CONRAD & THOMPSON FUNERAL HOME AND CREMATION SERVICES, 511 Emmett Street, Kisssimmee, Florida 34741; 407-847-3188.